As wildfires once again rage throughout the West, it is appropriate to show some healthy respect for these acts of nature or shake your head in sorrow for the human-caused disasters. No matter how the fires start, the courageous individuals who fight wildfires are saving lives and precious resources. The firefighters are to be acknowledged, appreciated and admired for their dangerous and necessary work. 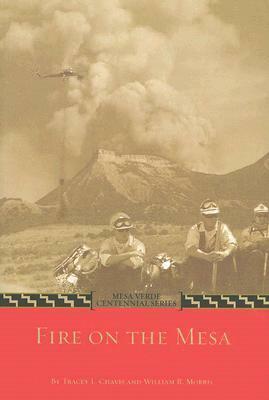 Here are four selections from the library collection that highlight the hard work of individuals who risk their lives to fight wildfires while safeguarding our communities and public lands. All four examples are currently on display in the public reading area of the library. Visit the library to review these or any other items of interest in the library and archives collections. For more details or additional collection information, click on the Search Catalog link located in the pull-down menu of the library tab on the Heard website. Apache 8 [Videorecording] ; a co-production of Apache 8, LLC and Native American Public Telecommunications, Inc.